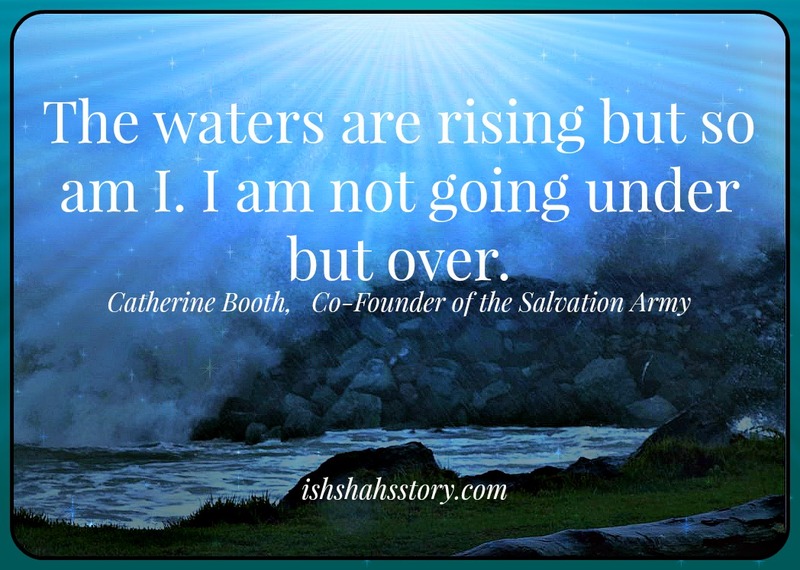 Catherine Booth (1829-1890) was co-founder of the Salvation Army (with William Booth), as well as a gifted evangelist, apostolic leader, preacher, author, wife and mother. In 1859 Catherine wrote a pamphlet called “Female Ministry”. Here is an excerpt. The language may have changed slightly, but the struggle against gender bias, patriarchy and religious traditions that limit women’s ministry continues. “THERE SEEMS TO BE a great deal of unnecessary fear of woman occupying any position which involves publicity, lest she should be rendered unfeminine by the indulgence of ambition or vanity. . . . Who would dare to charge the sainted Madame Guyon, Lady Maxwell, the talented mother of the Wesleys, Mrs. Fletcher, Mrs. Elizabeth Fry, Mrs. Smith, Mrs. Whiteman, or Miss Marsh with being unwomanly or ambitious. . . . Would that the Lord’s people had more of this ambition. Well, but say our objecting friends, how is it that those whose names you mention, and many others, should venture to preach when female ministry is forbidden in the Word of God? If she has the necessary gifts, and feels herself called by the Spirit to preach, there is not a single word in the whole book of God to restrain her, but many, very many, to urge and encourage her. God says she SHALL do so, and Paul prescribed the manner in which she shall do it, and Phoebe, Junia, Philip’s four daughters and many other women actually did preach and speak in the primitive Churches. We commend the following texts from the New Testament to the careful consideration of our readers. “And I entreat thee also, true yokefellow, help those women which laboured with me in the Gospel, with Clement also, and with other my fellow-labourers” (Philippians iv: 3). This is a recognition of female labourers, not concerning the Gospel but in the Gospel, whom Paul classes with Clement, and other of his fellow-labourers. Precisely the same terms are applied to Timotheus, whom Paul styles a “minister of God, and his fellow-labourer in the Gospel of Christ” (I Thessalonians iii: 2). As we have before observed, the text, I Corinthians xiv:34, 35 is the only one in the whole Book of God which even by a false translation can be made prohibitory of female speaking in the church; how comes it then, that by this one isolated passage, which, according to our best Greek authorities, is wrongly rendered and wrongly applied, woman’s lips have been sealed for centuries, and the “testimony of Jesus, which is the spirit of prophecy,” silenced, when bestowed on her? . . . Thank God the day is dawning with respect to this subject. Women are studying and investigating for themselves. They are claiming to be recognized as responsible beings, answerable to God for their convictions of duty; and, urged by the Divine Spirit they are overstepping those unscriptural barriers which the Church has too long reared against its performance. This is one of the best articles I’ve read about freedom for women in ministry positions. Catherine Booth said it so eloquently in such a short space! What a gifted woman. It gives me hope in a place where I’ve been pushed down simply for being a woman. This is long overdue in the church!! Hi Patricia, Welcome to Ishshah’s Story. I find Catherine Booth’s words amazingly powerful also, given the number of years that have passed since she said them. How sad that we are still having to struggle for gender equality in the church all this time later.